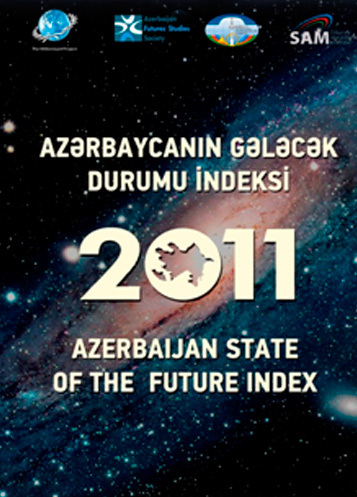 Azerbaijan Future Studies Society (AFSS) was established in January 2006 as a non-profit research center. This is the first research center of such kind in Azerbaijan with the aim of studying the current trends and predicting the future ones. AFSS incorporates in itself a group of professional experts and analysts who use international models of future studies and analyze the development trends for Azerbaijan as well as for the whole Caucasus region. 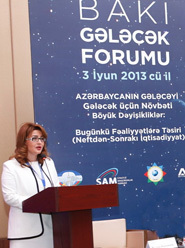 Ministry of Communication and Information Technologies of Azerbaijan provides its generous support to projects affiliated with the AFSS. One of the directions of the activities of Azerbaijan Future Studies Society is connected with propaganda of the cultural values of Azerbaijan. While analyzing the issues and forecasting future models of development, AFSS uses methodological tools that have been known to Western experts for many decades. AFSS combines various interdisciplinary approaches to the study of the future, such as political, economic, social, cultural, geo-political analysis as well as the consideration of such factors as mentality, history, regional conflicts, security issues and global trends. 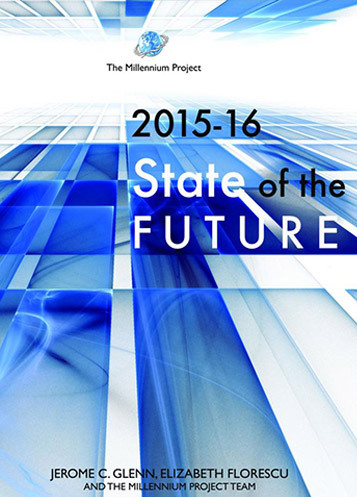 AFSS takes a careful view at all exiting variable and studies the risks and challenges to the predicted forecast. Finally, AFSS conduct various surveys, secondary data study, interviews, qualitative and quantitative researches for the purpose of full and complete study of the issue. NATO held a meeting with the participants of Advanced Scientific Research Conference in Embassy of Azerbaijan Republic in USA. 29 January 2016 we started our new project “Forecast” Club. VI National Essay Contest “Face to Face with Future Generations"